The new version provides the possibility to view market statistics of financial instruments traded in the exchange execution mode. In order to view the statistics, open the menu of any symbol in Market Watch, and select 'Statistics'. Operations with positions in the Trade tab have become more convenient. 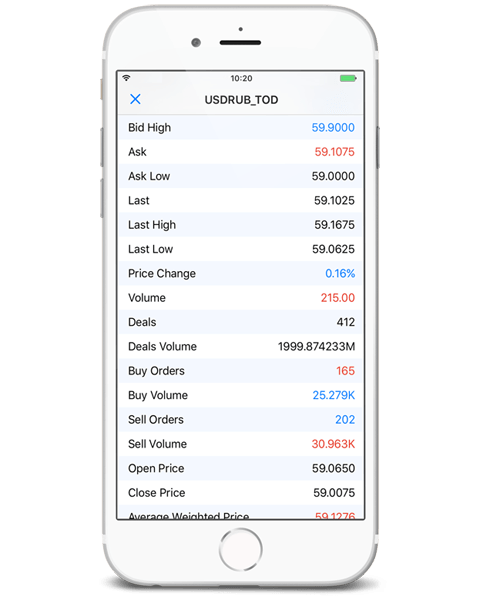 Now, a single tap on a position or order will reveal the detailed information and available actions, such as closing, modifying or increasing the position volume, as well as opening the chart of the position symbol.